A popular approach to weighting down soft plastics has been the advent of small Nail Sinkers to add small amounts of weight internally to soft plastic lures. Tungsten alloy nail fishing sinker is thin, nail-like weights inserted into soft-plastic baits (jerk baits, sticks or finesse worm) and usind barbs to help keep them in place. Tungsten sinker feature ridges to prevent them from slipping out of the plastic, which can be used to balance rigged jerk bait for a natural-looking fall. Weight down those soft plastics with our small tungsten sinker that stay in place thanks to the careful barbs while you fish. Our nail weights are made of tungsten, which is environmentally friendly material. 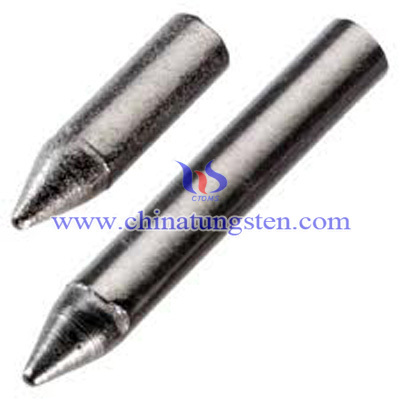 Tungsten alloy nail fishing sinker is denser and harder than traditional lead weights. Tungsten alloy nail fishing sinker advantage: high density with small capacity, nuisance free, strong wind resistace, International environment protection standard. Chinatungsten can offer tungsten sinker, tungsten beads, tungsten jig at various shape, such as shape of bullet, drop, tube, semi-drop and cylinder. Also Chinatungsten can manufacture fishing sinker according to your 2D drawings or 3D drawings, or even design it for you. If you have any interest in tungsten alloy fishing sinker, please feel free to contact us by email: sales@chinatungsten.com sales@xiamentungsten.com or by telephone : 0086 592 5129696.